StepItOut Golf is a comprehensive directory of the best golf courses at the best holiday destinations. By providing the pertinent overview and location of each course, this fully integrated app makes it easy to find the course you want to play, visit its website, book a tee time, play the course and share your experiences with your friends via your social media. Everything smooth and easy on one single device. StepItOut Golf will help you improve your game. When playing a new course this app will give you virtually the same knowledge as the local club members right from the start! 1. Improve your game by having instant access to satellite maps of each hole depicting 'real time' distances to hazards, YOUR chosen targets with shot trajectories and the flag. 2. Find the course you wish to play, then the integrated Sat Nav can guide you you there. 3. Make a booking at your preferred club and/or resort. 4. Seamlessly share your experiences via social media channels. - If you are more than 1000m from the flag, StepItOut Golf assumes you are not on the course and will go to the 'Preview Mode' whereby all distances are calculated from the tee rather than from your current location. - We have preset targets and shot trajectories on each hole for you but you have absolute control of setting your own; you simply drag and drop the targets to wherever you want. You instantly get the distance to each target, the distance from the target to the flag and the sum of all. You can hide, reset or delete the target lines by simply tapping the 'Hide', 'Reset' & 'Delete' buttons on your screen. - By default, the flag is positioned in the centre of the green. However, you can drag and drop the flag pin to its true location on the green and your distances to the flag will be recalculated instantly. - When 'Auto Transition Green' is in the 'on' position, StepItOut Golf will detect when you are on a tee and will automatically transition to the corresponding hole number. - When 'Auto Show Targets' is in the 'on' position, StepItOut Golf will show the preconfigured targets on each hole. - Select distance within which the current target will be automatically deleted, (50m, 75m or 100m). 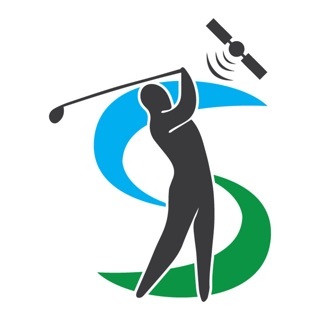 As you move around the course and reach the selected minimum distance to the current active target, StepItOut Golf will automatically delete this target and show distance and trajectory to the following target or flag. - You can set your tee preference to Black, White, Yellow, Blue, Green or Red. If the chosen tee colour is not available at a given course, StepItOut Golf will default to Yellow. May every course you play feel like your home course.